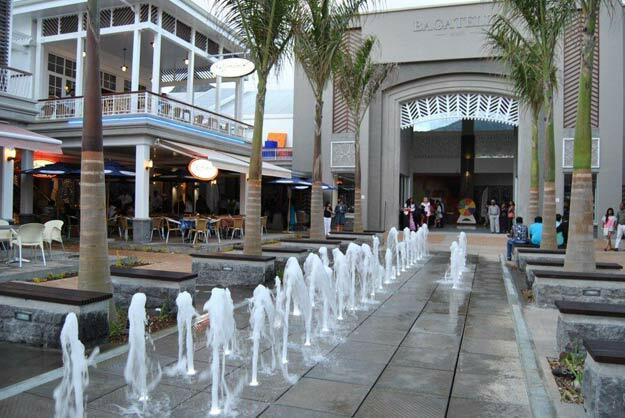 Bagatelle Mall of Mauritius's international, national and local visitors are provided the highest level of service. The Cinema and restaurants trade different hours, varying from breakfast trade to late night entertainment. Le Caudan Waterfront is a must for shopping. Some 120 shops offer a very wide range of products from sports equipment to jewellery and watches, including books & magazines, body care, known brands in swimming and beach gear as well as plenty of gift possibilities. Mauritian textile, now enjoying a high reputation, reflects in the shops with the beautiful collections offered by local designers as well as famous international brands. From generous and convenient parking facilities to clean pedestrian alleys within the centre, coupled with the wide variety of products available, Le Caudan Waterfront unites all ingredients for tourists and locals to enjoy their shopping experience. Le Caudan Waterfront caters for all eating needs in an incomparable setting featuring a beautiful view over the Port Louis harbour. Our offer ranges from sophisticated international standard restaurants offering the best of live entertainment, typical Mauritian, Eastern or Western cuisine to lighter snacks from laid-back coffee bars with panoramic views, pastry counters, refreshing ice-creams to beat the heat, after work drinks in a friendly pub or a meal on the run from a fast food outlet of the Food Court. The colourful umbrellas of the Food Court add a touch of life to the old historic walls of the Observatory. Sunset Boulevard is the first place that comes to your mind when you think about shopping in Grand-Baie. Put your sunglasses on, get dressed for the beach, and enjoy your day! Clothing, deco, accessories, art gallery, jewellery, gifts, cafes and restaurants… all of this under the sun and on the seaside. 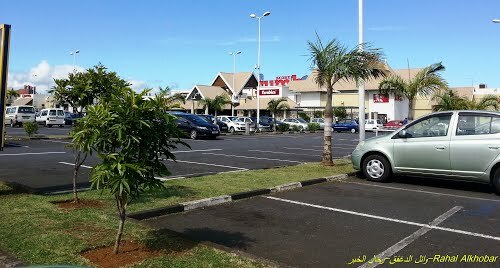 Located at one of the busiest junctions in the western part of the island, connecting Black River, Tamarin and Flic en Flac, Cascavelle Shopping Village is a one-stop-shop in the West of Mauritius, with a 2,500m² supermarket, designer shops, every day service providers, an attractive food court and restaurants. There are about sixty shops at Cascavelle Shopping Village, local and international brand shops, 2 food courts and Pick & Pay supermarket which is one of Africa’s largest and most consistently successful retailers of food, general merchandise and clothing. 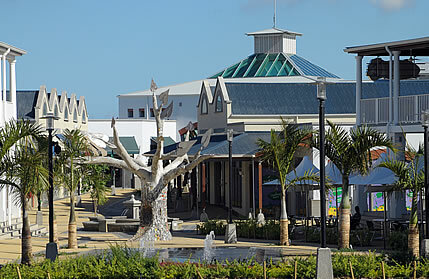 In addition, Cascavelle Shopping Village provides 400 parking bays, with parking specially allocated for the disabled. Cascavelle Shopping Village offers a lively and vibrant open-air setting, with airy patios, for relaxation and recreation, stunning views on the sea and the mountains, in a lush environment, open seven days a week. A new concept in retail outlets and commercial offices is open in Black River since the summer 2010, with shops on the ground floor and professional offices on the upper 2 floors and ample undercover and ongrade FREE parking. 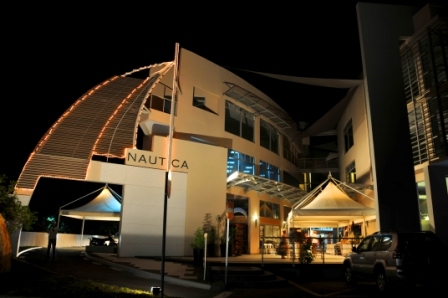 Nautica selected Riviere Noire for this development, as the 3rd largest district of Mauritius, with a growing local economy that is well positioned to take advantage of everything Nautica Commercial Centre has to offer. Grand Baie La Croisette's large retail centre is central to family life. A place for one-stop shopping where you can check out the latest designer clothing and footwear, indulge in window-shopping, visit the bank or just do the weekly grocery shopping. Grand Baie La Croisette will draw on the latest design trends from local and overseas shopping centres providing the protected environment most sought by shoppers for buying and relaxation. The Centre will incorporate open-air streets leading to a central esplanade with linking malls, specifically tenanted to suit today's shopper. Natural daylight will be designed throughout the malls, and the entire scheme will reflect the modern, clean and timeless architecture envisaged. The simplicity in both mall and shopfront design will allow striking merchandise displays to be the dominant features in the development. Finishes of the highest quality with feature planting and shop displays will create a convenient and pleasant place in which to shop. Whether it’s shopping, leisure, entertainment or just family fun you’re after, you can enjoy a whole day at Centre Commercial Phoenix. By virtue of its central location and its simple connections with major roads and the M1 motorway, the Centre Commercial Phoenix is easily accessible from all sides of the island. From local leading retailers to world famous international brands, this mall has it all and remains the lifestyle experience of choice for every visitor.